LOS ANGELES, Calif. – It began as a bright white dot in Saturn’s northern hemisphere. Within days, the dot grew larger and stormier. “It’s still going like crazy,” said Cassini project scientist Linda Spilker of the NASA Jet Propulsion Laboratory. “This is a one-of-a-kind storm,” said Andrew Ingersoll, a self-described planetary weatherman at the California Institute of Technology, who was part of the discovery team. Scientists have long studied weather on other planets. One of the solar system’s most famous landmarks is Jupiter’s Great Red Spot, a hurricane-like storm that has been raging for centuries. Landers and rovers to Mars’ surface often carried weather stations, dodged dust storms and sought favourable places to park during the winter. An instrument aboard Cassini, which is orbiting Saturn, first picked up radio outbursts on Dec. 5, 2010, from a lightning storm. Around the same time, amateur astronomers peering through telescopes saw a bright point in Saturn’s northern half. Further observations confirmed it was a brewing storm. The storm system, which occurred during the start of Saturn spring, grew in size and intensity, eventually stretching around the planet. Scientists don’t exactly know what stirs up the storms, but they think it could be linked to the change of seasons. The findings were described in two papers published in Thursday’s issue of the journal Nature. The new work represents “some of the most detailed observations so far of such a dramatic event,” Peter Read of the University of Oxford wrote in an accompanying editorial. 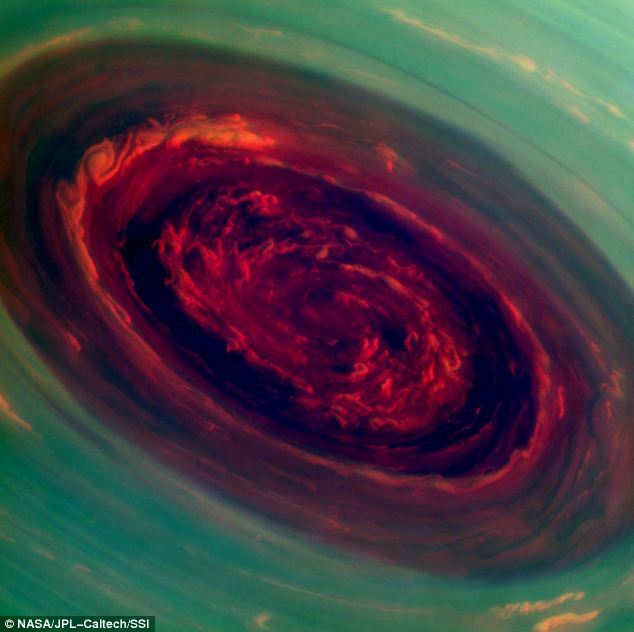 Saturn’s violent weather differs from Earth and Jupiter in significant ways. Lightning storms on Earth tend to be localized and short-lived, lasting only a few hours. Jupiter storms can last for days and lightning is far more common there than on Saturn. Since entering orbit around Saturn in 2004, Cassini has witnessed 10 storms in a region of the southern hemisphere known as “storm alley” because of the high level of storm activity. all links below should satisfy MOST questions: save the pdf’s before they’re gone for good from the net! Establishes in the Geosciences Directorate of the National Science Foundation (NSF) the Weather Mitigation Research Office to establish and coordinate the national research and development program on weather mitigation described in this Act. Requires the Program to be headed by a Director, who shall be appointed by the Director of the Geosciences Directorate. Instructs the Director of the NSF to coordinate the work of the Program with the Office of Science and Technology Policy (OSTP). Authorizes the Director of the Program to: (1) fund studies, obtain information, and hold workshops necessary to carry out this Act; (2) cooperate with public or private agencies to promote the purposes of this Act; and (3) enter into cooperative agreements with the head of a U.S. department or agency, an appropriate official of a state or political subdivision of a state, or an appropriate official of a private or public agency or organization to conduct research and development (R&D) pertaining to weather mitigation. Creates a Working Group to advise the Program and to make recommendations to the Program concerning administration, research, and other matters. Requires the Director of the Program, in consultation with the Working Group, to submit an implementation plan to Congress for the establishment and coordination of the Program. Permits the inclusion in the Program of specified activities related to weather mitigation, including: (1) interdisciplinary R&D and coordination of R&D and activities to improve the understanding of processes relating to planned and inadvertent weather mitigation; (2) coordination with relevant organizations; (3) development, through partnerships among federal agencies, state agencies, and academic institutions, of new technologies and approaches for weather mitigation; and (4) establishment of scholarships and educational opportunities that encourage an interdisciplinary approach to weather mitigation. Requires the Program to promote and fund R&D, studies, and investigations with respect to: (1) improved forecast and decisionmaking technologies for weather mitigation operations; and (2) adaptation and scaling experiments in the efficacy of weather mitigation. Authorizes the Director of the NSF to establish a grant program for the awarding of grants to eligible entities (state agencies, institutions of higher education, and nonprofits that have expertise in the field of weather mitigation and experience working with state agencies) for R&D projects that pertain to weather mitigation. Requires the Director to submit biennial reports containing certain information to the President and specified congressional committees. Instructs the head of any U.S. department or agency and the head of any other public or private institution receiving research funds from the United States to cooperate with the Director of the Program. Directs the OSTP, in support of the implementation plan, to: (1) address relevant programs and activities of the federal agencies and departments that would contribute to the Program; (2) consider and use, as appropriate, reports and studies of federal agencies and departments, weather modification organizations, and other expert scientific bodies, including a specified National Research Council report; and (3) make recommendations for the coordination of Program activities with weather mitigation activities of other national and international organizations. Requires OSTP, in the support of the biennial reports required from the Director under section 7, to provide specified information. Here is a very long list of links, pdf files from institutions like stanford, leicester university, cornell, University of Mass., etc.. and from several military and .gov sites. they are easy to read.. yes there is a lot of math formula but if you skip over the gobbledygook you can read the thesis etc, and get a VERY good idea of the topic and what is being covered. Even the lay person can understand these documents in their basic form. some links work, others are “down” but still included to prove they DID exist. These things have a way of disappearing off the net, so download them and MIRROR them on other file sharing sites if you can. 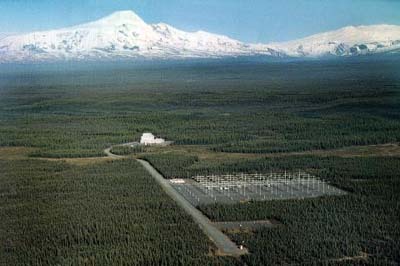 The Institute possesses a complex of unique astrophysical equipment deployed in the Sayan Mountains, especially the Siberian solar radiotelescope, a large solar vacuum telescope, an incoherent scatter radar, as well as a network of astrophysical laboratories throughout the territory of Siberia. H.L. Rowland, Beam Physics Branch, Plasma Physics Division, Naval Research Laboratory, Washington, D.C. Title : A Diagnostic System for Studying Energy Partitioning and Assessing the Response of the Ionosphere During HAARP Modification Experiments. A volcanic Island in the pacific west of Mexico and the northern direction is directly in line with the lower san andreas fault. Here is the google earth location. 28°53’23.06″N //118°16’50.20″W Check it out, its an uninhabited island as well in the middle of no where. Antennas everywhere following the roads(phased array) the whole place is a grid! Dr. Moshe Alamaro (worked with Dr. Eastlund in weather modification / engineering) As a graduate student and later as a Research Scientist at the MIT Department of Earth, Atmospheric, and Planetary Sciences (EAPS) Moshe Alamaro helped to design, build and manage the MIT Air-Sea Interaction Lab where he supervised six students. Alamaro, M.; “My Journey to Engineer the Weather”, MIT Alumni News and Views, What Matters: June 2009. Armstrong, R., Glenn G.J., Alamaro, M. “Coordination, research needed in weather science”, Physics Today, Vol 60, Page 10, June 2007. Alamaro, M., Emanuel, KA, McGillis, W.: “Experimental Investigation of Air-Sea Transfers at High Wind Speed,” forthcoming in Journal of Fluid Mechanics. With Emanuel, K.A. : “Sea-Air Transfer in Tropical Cyclones,” Proceedings of the International Union of Geodesy and Geophysics, Sapora, Japan, July 1, 2003. “Riders on The Storm”, The Atlantic Monthly, October 2007. “Scientists a step closer to steering hurricanes-schematics “, The Sunday Telegraph, October 21, 2007. “Scientists a step closer to steering hurricanes”, The Sunday Telegraph, October 21, 2007. “Old Pills Finding New Medicine Cabinets”, The New York Times, May 18, 2005. “Scientists: Killer Hurricanes May Someday Be Controlled With Soot”, Fox News, October 31, 2007. “Activate Cloud Shield! Zap a Twister!”, Weird Magazine, January 2000.